We are happy to announce the appointment of Joe Gallagher to the position of Marketing Solutions Manager on our staff. As the Senior Retail Advertising Sales Representative at Times-Mirror's Glendale office he was the recipient of several commendations, including the prestigious Ingersoll Design Award. He is, however, perhaps best known as a regular biweekly columnist with the Los Angeles Downtown News. Joe will be available to help you identify your specific marketing goals, and in the writing and layout of your Web site (and other items such as brochures) to help bring those goals to fruition quickly and efficiently. Joe's talents lie in writing and designing newsletters, brochures, postcards, flyers and other promotional materials. Joe is the marketing brains behind web design place. 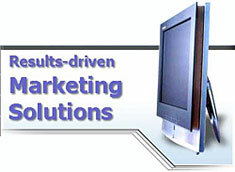 Marketing solutions, marketing plans and promotion is Joe Gallagher's expertise.